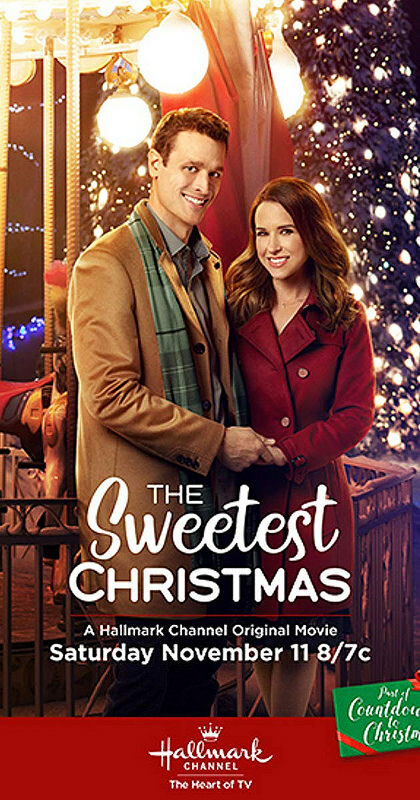 It’s time to look at the next Hallmark film. This one is another Christmas rebound adventure but with a food themed plot to spice things up. When competitions are on the line even Christmas can get a little hectic. Still, the main characters are ready for anything and this is another solid film to check out. This film starts out with Kylie lamenting her loss for the Gingerbread contest. She sent in a submission weeks ago but never received a response. At least things are going well at work and she thinks that Alex may be ready to take the next step as he invites her to a fancy restaurant. Her hopes are dashed when he says that he just brought her over so ask if she would like a promotion so they can be a team at work. Honestly it wasn’t a bad idea but Kylie already had her heart set on something else so she ends their “partnership” as he would put it. She then meets rebound guy #1…her ex Nick. Nick is living the tough life of being a single Dad at the moment since she formerly dumped him as well but now they can get back to the past. Also, Kylie ended up doing well on her submission, the letter was just loss behind the fridge. She is now determined to win the contest and prove that her cooking skills are the real deal! This is a pretty fun film like the other Hallmark title. While I don’t think it is quite as impressive it still has all of the fundamentals down. First off, it’s an enjoyable movie with no real negative scenes to drag it down. I wouldn’t say that any of the characters are downright terrible and the pacing is on point as well. The cooking scenes are always nice and the supporting characters had nice contributions and managed not to feel tacked on. The writing is pretty good and I continue to be impressed with Hallmark in general. On the other side of the spectrum, once again the whole film’s plot revolves around a rebound and the film pretty much justifies it here like in the last movie. I certainly find it hard to root for Kylie myself especially since Alex doesn’t even seem like a bad guy. Oblivious to be sure, but at least he’s not cheating on her or anything like that. I think the main character is where the last film really takes the edge. That’s a good segway into talking about our heroine. So, Kylie is an aspiring chef who has had a hard time breaking into the industry but is looking to do so now. This is her golden opportunity but you wouldn’t know it since she is so quick to throw in the towel all the time. As soon as she hears that a professional is joining the contest she is ready to throw in the towel and must be told repeatedly not to do so. Why does she have to be convinced to enter the contest she’s been waiting for her whole life? She throws the pity party way too quickly. Then we find out the reason why she broke up with Nick and it’s a bad one. Basically his Dad died and Kylie didn’t want Nick to have to be busy driving to her place all the time since it was so far…so she broke up with him. She acts like she was doing him a favor but I think it’s pretty obvious why this would be one of the worst times to break up with him. With his life basically being turned upside down all she is doing is amplifying that even more. Things could have ended up pretty badly for him. Now when Nick is just getting over him she is ready to reconnect. Meanwhile, Nick is fairly reasonable as he does his best to turn her away and also doesn’t make any kind of move until he is sure that she is no longer together with Alex. For him this is also a rebound since his wife died and the time frame can’t have been too long based on the timeline of when this all went down. Naturally the romance in this film is more of a weakness than anything. The movie is at its best when it’s focusing on the comedy and just having a good time. The film never gets too serious though and even the negatives in the romance are typically glossed over. I don’t think you’ll notice it much unless you are paying a lot of attention to it. Ralphie is Nick’s best friend and he does a good job of looking out for him. The guy’s a lot of fun and certainly is supportive. Without him Nick and Kylie would have definitely been doomed. Likewise Kylie had a sister who was also with her throughout all of this and always had a good attitude about her. Again, the supporting cast was just quite good. I didn’t care much for Nick’s kid, but they can’t all be good. Alex was still fairly decent. He does his best to try to make things right with Kylie. He seems to have a hard time really expressing himself but you never get the feeling that he doesn’t care for Kylie. He’s just grown up in a business environment and doesn’t really know how to differentiate the two. He probably gets the saddest ending from all of the characters. His plan for the contest was certainly convoluted and didn’t work too well but again it was all for Kylie. If anything I found him to be a lot more impressive than Nick and he was certainly a more likable character. He’s the kind of guy where you knew he was doomed from the start though. He never stood a chance. Overall, This was a fun Christmas film. There’s a lot of baking and solid characters to root for here. Even though this is primarily a romance/comedy film it only succeeds in half of its genre. That’s enough though especially since there are no true negatives here. There was no scene where I thought to myself “I’m gonna drop a star for that.” That’s definitely important and a big reason as to why I can safely recommend this title to anyone. It’s a nice feel good film to end the year with.